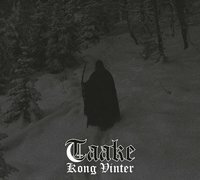 Kong Vinter is as Taake as it gets as far as the music and atmosphere go. Hoest once again takes Taake to new heights, filling his music and riffs with black metal, through and through. However, this time he builds upon the more classic rock undertones of Stridens Hus, and even offers some progressive elements. The riffs compliment one another, with some feeling quite groovy, often leading into the cold and frosty ones so known to longtime Taake fans.